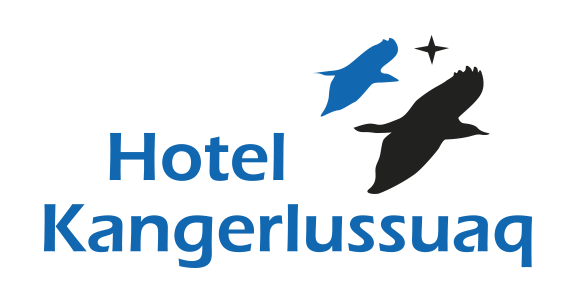 Hotel Kangerlussuaq offers a number of various services to its guests. 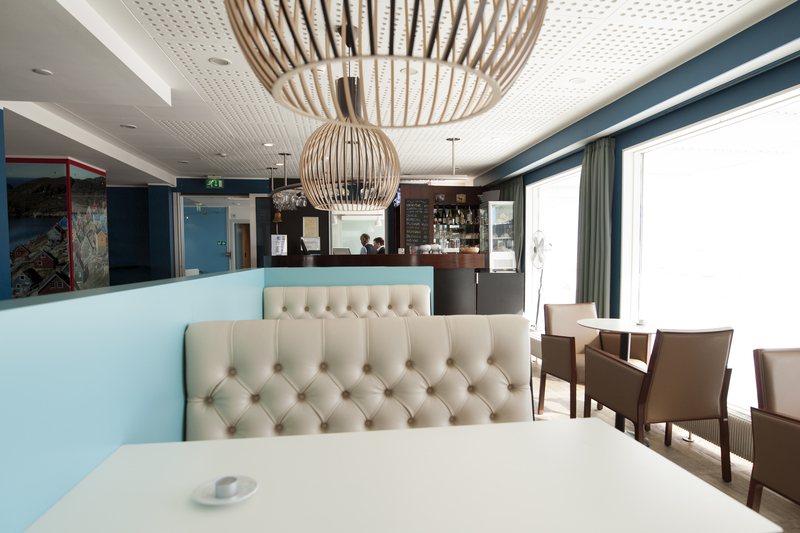 Whether you’d like to relish Greenland’s raw materials cooked with minute attention to detail and care or just crave a quick burger at the hotel’s cafeteria, we are always there for you. And if you’d like to cap your evening with a drink at the hotel bar, we are open, for your convenience, on all days of the week. 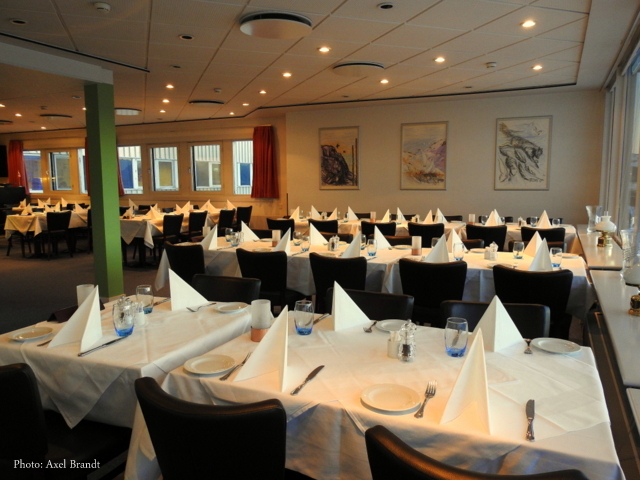 If you fancy an intimate dinner, prepared by some of Greenland’s most talented chefs and served with elegance and professionalism, do not hesitate to book a table at our restaurant. Our philosophy is to always serve freshly prepared dishes, which is why we have limited our selection in order to be able to optimise quality. Below you can view our menu for the season. But keep in mind that we often change our dishes so that we can include as many fresh raw materials as are available to us. And if you want to see what we can offer as a complement to the food, you can take a look at our wine list below. 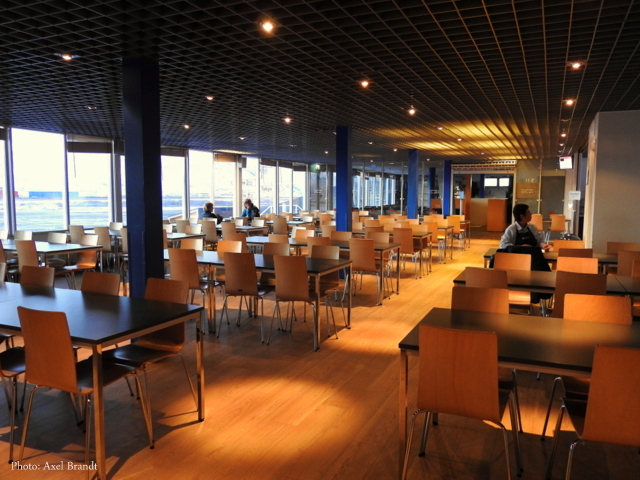 Our cafeteria serves food prepared from genuine raw materials. Order a musk ox burger or whale noodle soup at a price that is for everyone’s pocket. We serve quick, simple dishes. The Green Bar is situated right next to the hotel’s reception desk. If you feel like a caffè latte in the afternoon, yearn for a gin and tonic before dinner or wish to top it off with a night cap of cognac right before bedtime, this is the place for you to go.